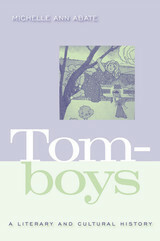 Starting with the figure of the bold, boisterous girl in the mid-19th century and ending with the “girl power” movement of the 1990’s, Tomboys is the first full-length critical study of this gender-bending code of female conduct. Michelle Abate uncovers the origins, charts the trajectory, and traces the literary and cultural transformations that the concept of “tomboy” has undergone in the United States. Abate focuses on literature including Louisa May Alcott's Little Women and Carson McCullers's The Member of the Wedding and films such as Peter Bogdanovich's Paper Moon and Jon Avnet's Fried Green Tomatoes. She also draws onlesser-known texts like E.D.E.N. Southworth's once wildly popular 1859 novel The Hidden Hand, Cold War lesbian pulp fiction, and New Queer Cinema from the 1990s. Tomboys also explores the gender and sexual dynamics of tomboyism, and offers intriguing discussions of race and ethnicity's role in the construction of the enduring cultural archetype. Abate’s insightful analysis provides useful, thought-provoking connections between different literary works and eras. The result demystifies this cultural phenomenon and challenges readers to consider tomboys in a whole new light. Professional baseball players have always been well paid. In 1869, Harry Wright paid his Cincinnati Red Stockings about seven times what an average working-man earned. Today, on average, players earn more than fifty times the average worker's salary. In fact, on December 12, 1998, pitcher Kevin Brown agreed to a seven-year, $105,000,000 contract with the Los Angeles Dodgers, the first nine-figure contract in baseball history. Brown will be earning over $400,000 per game; more than 17,000 fans have to show up at Dodger Stadium every night just to pay his salary. Why are baseball players paid so much money? In this insightful book, legal scholar and salary arbitrator Roger Abrams tells the story of how a few thousand very talented young men obtain their extraordinary riches. Juggling personal experience and business economics, game theory and baseball history, he explains how agents negotiate compensation, how salary arbitration works, and how the free agency "auction" operates. In addition, he looks at the context in which these systems operate: the players' collective bargaining agreement, the distribution of quality players among the clubs, even the costs of other forms of entertainment with which baseball competes. Throughout, Dean Abrams illustrates his explanations with stories and quotations -- even an occasional statistic, though following the dictum of star pitcher, club owner, and sporting goods tycoon Albert Spalding, he has kept the book as free of these as possible. He explains supply and demand by the cost of a bar of soap for Christy Mathewson's shower. He illustrates salary negotiation with an imaginary case based on Roy Hobbs, star of The National. He leads the reader through the breath-taking successes of agent Scott Boras to explain the intricacies of free agent negotiating. Although studies have shown that increases in admissions prices precede rather than follow the rise in player salaries, fans are understandably bemused by skyrocketing salaries. Dean Abrams does not shy away from the question of whether it is "fair" for an athlete to earn more than $10,000,000 a year. He looks at issues of player (and team) loyalty and player attitudes, both today and historically, and at what increased salaries have meant for the national pastime, financially and in the eyes of its fans. 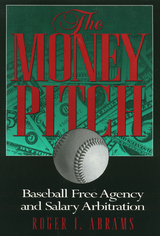 The Money Pitch concludes that "the money pitch is a story of good fortune, good timing, and great leadership, all resulting from playing a child's game -- a story that is uniquely American." Doing Comparable Worth is the first empirical study of the actual process of attempting to translate into reality the idea of equal pay for work of equal value. This political ethnography documents a large project undertaken by the state of Oregon to evaluate 35,000 jobs of state employees, identify gender-based pay inequities, and remedy these inequities. 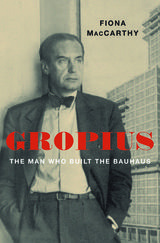 The book details both the technical and political processes, showing how the technical was always political, how management manipulated and unions resisted wage redistribution, and how initial defeat was turned into partial victory for pay equity by labor union women and women's movement activists. As a member of the legislative task force that was responsible for implementing the legislation requiring a pay equity study in Oregon, Joan Acker gives an insider's view of how job evaluation, job classification, and the formulation of an equity plan were carried out. She reveals many of the political and technical problems in doing comparable worth that are not evident to outsiders. She also places comparable worth within a feminist theoretical perspective. In the series Women in the Political Economy, edited by Ronnie J. Steinberg. Reclaiming Class offers essays written by women who changed their lives through the pathway of higher education. Collected, they offer a powerful testimony of the importance of higher learning, as well as a critique of the programs designed to alleviate poverty and educational disparity. The contributors explore the ideologies of welfare and American meritocracy that promise hope and autonomy on the one hand, while also perpetuating economic obstacles and indebtedness on the other. Divided into the three sections, Reclaiming Class assesses the psychological, familial, and economic intersections of poverty and the educational process. In the first section, women who left poverty through higher education recall their negotiating the paths of college life to show how their experiences reveal the hidden paradoxes of education. Section two presents first person narratives of students whose lives are shaped by their roles as poor mothers, guardian siblings, and daughters, as well as the ways that race interacts with their poverty. 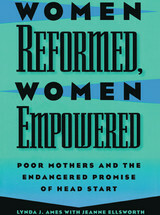 Chapters exploring financial aid and welfare policy, battery and abuse, and the social constructions of the poor woman finish the book. Offering a comprehensive picture of how poor women access all levels of private and public institutions to achieve against great odds, Reclaiming Class shows the workings of higher learning from the vantage point of those most subject to the vicissitudes of policy and reform agendas. Since the Stonewall rebellion in 1969, gay and lesbian movements have grown from small outposts in a few major cities to a worldwide mobilization. This book brings together stories of the emergence and growth of movements in more than a dozen nations on five continents, with a comparative look that offers insights for both activists and those who study social movements. Lesbian and gay groups have existed for more than a century, often struggling against enormous odds. In the middle of the twentieth century, movement organizations were suppressed or swept away by fascism, Stalinism, and McCarthyism. Refounded by a few pioneers in the postwar period, movements have risen again as more and more people have stood up for their right to love and live with persons of their choice. This book addresses both the mature movements of the European Union, North America, and Australia and the newer movements emerging in Latin America, Eastern Europe, and parts of Asia and Africa, examining the social and political conditions that shape movement opportunities and trajectories. It is rich in the details of gay and lesbian cultural and political life in different countries. On a spectrum of hostility towards migrants, South Africa ranks at the top, Germany in the middle and Canada at the bottom. South African xenophobic violence by impoverished slum dwellers is directed against fellow Africans. “Foreign” Africans are blamed for a high crime rate and most other maladies of an imagined liberation. Why would a society that liberated itself in the name of human rights turn against people who escaped human rights violations or unlivable conditions at home? What happened to the expected African solidarity? Why do former victims become victimizers? With porous borders, South Africa is incapable of upholding the blurred distinction between endangered refugees and economic migrants. 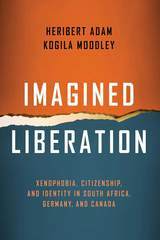 Imagined Liberation asks what xenophobic societies can learn from other immigrant societies, such as Canada, that avoided the backlash against multiculturalism in Europe. Heribert Adam and Kogila Moodley stress an innovative teaching of political literacy that makes citizens aware as to why they hate. The ongoing violence, despair and paralysis among Israelis and Palestinians resemble the gloomy period in South Africa during the late 1980s. 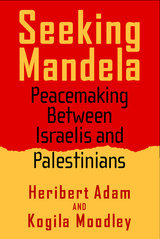 Heribert Adam and Kogila Moodley show that these analogies with South Africa can be applied to the Israeli-Palestinian conflict for two purposes: to showcase South Africa as an inspiring model for a negotiated settlement and to label Israel a "colonial settler state" that should be confronted with strategies (sanctions, boycotts) similar to those applied against the apartheid regime. Because of the different historical and socio-political contexts, both assumptions are problematic. Whereas peacemaking resulted in an inclusive democracy in South Africa, the favored solution for Israel and the West Bank is territorial separation into two states. Adam and Moodley speculate on what would have happened in the Middle East had there been what they call "a Palestinian Mandela" providing unifying moral and strategic leadership in the ethnic conflict. A timely, relevant look at the issues of a polarized struggle, Seeking Mandela is an original comparison of South Africa and Israel, as well as an important critique on the nature of comparative politics. Citizen Lobbyists explores how U.S. citizens participate in local government. Although many commentators have lamented the apathy of the American citizenry, Brian Adams focuses on what makes ordinary Americans become involved in and attempt to influence public policy issues that concern them. 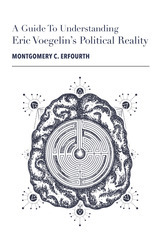 It connects theory and empirical data in a new and revealing way, providing both a thorough review of the relevant scholarly discussions and a detailed case study of citizen engagement in the politics of Santa Ana, a mid-sized Southern California city. After interviewing more than fifty residents, Adams found that they can be best described as "lobbyists" who identify issues of personal importance and then lobby their local government bodies. Through his research, he discovered that public meetings and social networks emerged as essential elements in citizens' efforts to influence local policy. By testing theory against reality, this work fills a void in our understanding of the actual participatory practices of "civically engaged" citizens. 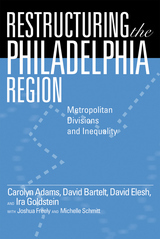 Restructuring the Philadelphia Region offers one of the most comprehensive and careful investigations written to date about metropolitan inequalities in America’s large urban regions. Moving beyond simplistic analyses of cities-versus-suburbs, the authors use a large and unique data set to discover the special patterns of opportunity in greater Philadelphia, a sprawling, complex metropolitan region consisting of more than 350 separate localities. With each community operating its own public services and competing to attract residents and businesses, the places people live offer them dramatically different opportunities. The book vividly portrays the region’s uneven development—paying particular attention to differences in housing, employment and educational opportunities in different communities—and describes the actors who are working to promote greater regional cooperation. Surprisingly, local government officials are not prominent among those actors. Instead, a rich network of “third-sector” actors, represented by nonprofit organizations, quasi-governmental authorities and voluntary associations, is shaping a new form of regionalism. In the sub-field of world history, there has been a surprising paucity of thinking and writing about how to approach and conceptualize the long twentieth century from the 1870s through the early 2000s. The historiographic essays collected in Essays on Twentieth Century History will go a long way to filling that lacuna. Each contribution covers a key theme and one or more critical sub-fields in twentieth century global history. Chapters address migration patterns, the impact of world wars, transformations in gender and urbanization, as well as environmental transitions. All are written by leading historians in each of the sub-fields represented, and each is intended to provide an introduction to the literature, key themes, and debates that have proliferated around the more recent historical experience of humanity. The second volume in the American Historical Association's global history series introduces readers to the cross-cultural study of ancient and classical civilizations. The opening essay by Jerry Bentley surveys methodologies and critical interpretations that have been essential to the development of comparative historical analysis. These include contributions from the fields of sociology, archaeology, linguistics, and anthropology, and recent investigative practices that honor previously neglected groups and validate testimony passed down through oral traditions. The first set of essays highlight predominant themes in global history by examining the ongoing interactions between ancient agrarian and nomadic societies as well as the impact of these exchanges on economic development and cross-cultural adaptation. The essays in the second section focus on regional patterns in the dissemination of ideas, institutions, and material culture. By highlighting key historical transitions and recurring cultural patterns, this book provides an engaging introduction to the complexities of human development. Written by leading scholars in the field, the historiographic essays in Agricultural and Pastoral Societies in Ancient and Classical History offer students and teachers a comprehensive overview of the arguments, applications, and resources that inform comparative global history. The 2002 revelation that George Washington kept slaves in his executive mansion at Philadelphia's Independence National Historical Park in the 1790s prompted an eight-year controversy about the role of slavery in America's commemorative landscape. When the President's House installation opened in 2010, it became the first federal property to feature a slave memorial. 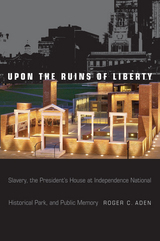 In Upon the Ruins of Liberty, Roger Aden offers a compelling account that explores the development of this important historic site and how history, space, and public memory intersected with contemporary racial politics. Aden constructs this engrossing tale by drawing on archival material and interviews with principal figures in the controversy-including historian Ed Lawler, site activist Michael Coard, and site designer Emanuel Kelly. Upon the Ruins of Liberty chronicles the politically-charged efforts to create a fitting tribute to the place where George Washington (and later, John Adams) shaped the presidency while denying freedom to the nine enslaved Africans in his household. From design to execution, the plans prompted advocates to embrace stories informed by race, and address difficulties that included how to handle the results of the site excavation. As such, this landmark project raised concerns and provided lessons about the role of public memory and how places are made to shape the nation's identity. While most philosophers who write about punishment ask, "Why may we punish the guilty?" Jacob Adler asks, "To what extent does a guilty person have a duty to submit to punishment?" He maintains that if we are to justify any system of punishment by the state, we must explain why persons guilty of an offense are morally bound to submit to punitive treatment, or to undertake it on their own. Using Rawls's theory of social contract as a framework, the author presents what he calls the rectification theory of punishment. After examining punishment from two points of view—that of the punisher and that of the offender who is to be punished—Adler proposes the Paradigm of the Conscientious Punishee: a repentant wrongdoer who views punishment as not necessarily unpleasant, but as something it is morally incumbent upon one to undertake. The author argues that this paradigm must play a central role in the theory of punishment. Citing community service projects and penances for sin (as required by some religions), Adler argues that punishment need not involve pain or any other disvalue. Instead he defines it in terms of its justificatiory connection with wrongdoing: punishment is that which is justified by the prior commission of an offense and generally not justified without the prior commission of an offense. The rectification theory applies particularly to offenses involving basic liberties. It is based on the assumption that each person is guaranteed the right to an inviolable sphere of liberty. Someone who commits an offense has expanded his or her sphere by arrogating excess liberties. In order to maintain the equality on which this theory rests, an equivalent body of liberties must be given up. In discussing applications of the theory, Adler demonstrates that active service (as punishment) is more effective in safeguarding important rights and interests and maintaining the social contract than is afflictive punishment. In Ethnic Pride, American Patriotism, June Alexander presents a history of inter-war America from the perspective of new Slovak and Eastern European immigrant communities. Like the groups that preceded them, Slovak immigrants came to define being American as adhering to its political principles; they saw no contradiction between being patriotic Americans and maintaining pride in their ancestry. To counter the negative effects of the 1924 immigration law, Slovaks mobilized a variety of political and cultural activities to insure group survival and promote ethnic pride. In numerous localities "Slovak days" brought first and second generation immigrants together to celebrate their dual identity. June Granatir Alexander's study adds complexity and nuance to entrenched notions of conflicts between tradition-bound immigrants and their American-born children. Showing that ethnicity mattered to both generations, Alexander challenges generalizations derived from "whiteness" studies. Alexander ultimately makes the case that contemporary Black novelists depict racial terror as a centuries-spanning social control practice that structured carceral life on slave ships and slave plantations—and that mass-produces prisoners and prisoner abuse in post–Civil Rights America. 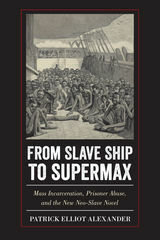 These authors expand free society’s view of torment confronted and combated in the prison industrial complex, where discriminatory laws and the institutionalization of secrecy have reinstated slavery’s system of dehumanization. Even people who live with cats and have good reason to know better insist that cats are aloof and uninterested in relating to humans. Janet and Steven Alger contend that the anti-social cat is a myth; cats form close bonds with humans and with each other. In the potentially chaotic environment of a shelter that houses dozens of uncaged cats, they reveal a sense of self and build a culture—a shared set of rules, roles, and expectations that organizes their world and assimilates newcomers.As volunteers in a local cat shelter for eleven years, the Algers came to realize that despite the frequency of new arrivals and adoptions, the social world of the shelter remained quite stable and pacific. They saw even feral cats adapt to interaction with humans and develop friendships with other cats. They saw established residents take roles as welcomers and rules enforcers. That is, they saw cats taking an active interest in maintaining a community in which they could live together and satisfy their individual needs. Cat Culture's intimate portrait of life in the shelter, its engaging stories, and its interpretations of behavior, will appeal to general readers as well as academics interested in human and animal interaction. What has happened to the religious left? If there is a religious left, why don't we hear more about it? The academics and activists who write this rich volume, edited by Rebecca Alpert, argue passionately on topics that concern all of us. Quoting from the Bible, the Torah, the Qur'an, the teachings of Buddha, as well as Native American folklore, they make the voices of the religious left heard -- teaching lessons of peace and liberation. 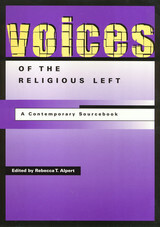 As this invaluable sourcebook shows, the religious left is committed to issues of human rights and dignity. Answering questions of identity and ideology, the essays included here stem from the "culture wars" that have divided orthodox and liberal believers. Responding to the needs of and raised by marginalized social groups, the writers discuss economic issues and religious politics as they champion equal rights, and promote the teaching of progressive vision. Containing insightful perspectives of adherents to many faiths, Voices of the Religious Left makes it clear that there is a group dedicated to instilling the values of justice and freedom. They are far from silent. For all of Brazil's efforts to reduce poverty-and its progress-the favelas in Rio de Janeiro still house one-third of the city's poor, and violence permeates every aspect of the city. As urban drug gangs and police wage war in the streets, favela residents who are especially vulnerable live in fear of being caught in the crossfire. Politicians, human rights activists, and security authorities have been working to minimize the social and economic problems at the root of this "war." Living in the Crossfire presents impassioned testimony from officials, residents, and others in response to the ongoing crisis. Maria Helena Moreira Alves and Philip Evanson provide vivid accounts from grieving mothers and members of the police working to stop the war and, among officials, from Brazil's President Luis Inácio Lula da Silva, who discusses his efforts to improve public security. Dark Days in the Newsroom traces how journalists became radicalized during the Depression era, only to become targets of Senator Joseph McCarthy and like-minded anti-Communist crusaders during the 1950s. Edward Alwood, a former news correspondent describes this remarkable story of conflict, principle, and personal sacrifice with noticeable élan. He shows how McCarthy's minions pried inside newsrooms thought to be sacrosanct under the First Amendment, and details how journalists mounted a heroic defense of freedom of the press while others secretly enlisted in the government's anti-communist crusade. Relying on previously undisclosed documents from FBI files, along with personal interviews, Alwood provides a richly informed commentary on one of the most significant moments in the history of American journalism. 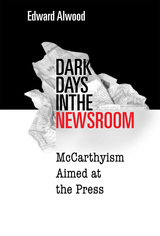 Arguing that the experiences of the McCarthy years profoundly influenced the practice of journalism, he shows how many of the issues faced by journalists in the 1950s prefigure today's conflicts over the right of journalists to protect their sources. 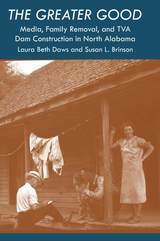 By chronicling the everyday experiences of women in a rural Head Start program, Lynda J. Ames and Jeanne Ellsworth examine the processes of underprivileged women working to make a better life for themselves and their families. The authors explain that in order to empower its participants, the Head Start program allows many women to work as aides or on advisory boards in order to learn how to impact the structures that constrain their lives. This enables participants to take more control while receiving financial assistance and other opportunities for new social support structures. Head Start was designed around the assumption that its aim should be to "correct" certain presumed deficits of parents, and many policymakers and participants swear by the program for its capacity to empower and its remarkable success rate. Unfortunately, while empowerment can make women's lives more manageable and more rewarding, many administrators feel that it does not change the immediate structure of poverty. In the search for a program design that provides more accountability, administrators are moving to take more control of local programs, thereby decreasing the mothers' control and threatening the flexibility and the empowerment potential of the program, two key factors that have made Head Start so successful. It is this struggle for control of the women's day-to-day lives and families that Ames and Ellsworth reveal through personal stories. Women Reformed, Women Empowered is not only a testament to the successes of the program, but a story of poor women finding the resources they need, and a call to reevaluate disempowering policies that can drive underprivileged families deeper into apathy and hopelessness. By combining personal memoir and critical analysis, Lori Amy links the violence we live in our homes to the violence that structures our larger culture. The Wars We Inherit brings insights from memory and trauma studies to the story of violence in the author’s own family. In this brave, fascinating and compelling book, Amyconcerns herself with the violence associated with the military, and how this institution of public, cultural violence, with its hypermasculinity, pervades society with physical, verbal, emotional and sexual aggression. She uses her war-veteran father to represent the chaotic and dehumanizing impact of war to show how violence is experienced and remembered. Amy provides examples that support the relationship between military structures and domestic violence, or how the sexual violence that permeates her family prompts debates about the nature of trauma and memory. In addition, Amy employs feminist psychoanalytic theory, cultural and trauma studies, and narrative theory, to explain how torture in Abu Ghraib is on a direct continuum with the ordinary violence inherent in our current systems of gender and nation. The Vietnam War has been depicted by every available medium, each presenting a message, an agenda, of what the filmmakers and producers choose to project about America's involvement in Southeast Asia. This collection of essays, most of which are previously unpublished, analyzes the themes, modes, and stylistic strategies seen in a broad range of films and television programs. From diverse perspectives, the contributors comprehensively examine early documentary and fiction films, postwar films of the 1970s such as The Deer Hunter and Apocalypse Now, and the reformulated postwar films of the 1980s--Platoon, Full Metal Jacket, and Born on the Fourth of July. They also address made-for-television movies and serial dramas like China Beach and Tour of Duty. The authors show how the earliest film responses to America's involvement in Vietnam employ myth and metaphor and are at times unable to escape glamorized Hollywood. Later films strive to portray a more realistic Vietnam experience, often creating images that are an attempt to memorialize or to manufacture different kinds of myths. As they consider direct and indirect representations of the war, the contributors also examine the power or powerlessness of individual soldiers, the racial views presented, and inscriptions of gender roles. 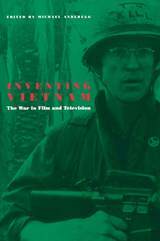 Also included in this volume is a chapter that discusses teaching Vietnam films and helping students discern and understand film rhetoric, what the movies say, and who they chose to communicate those messages. Excerpt Read an excerpt from Chapter 1 (pdf). Contents Acknowledgments Introduction - Michael Anderegg 1. Hollywood and Vietnam: John Wayne and Jane Fonda as Discourse - Michael Anderegg 2. "All the Animals Come Out at Night": Vietnam Meets Noir in Taxi Driver - Cynthia J. Fuchs 3. Vietnam and the Hollywood Genre Film: Inversions of American Mythology in The Deer Hunter and Apocalypse Now - John Hellmann 4. "Charlie Don't Surf": Race and Culture in the Vietnam War Films - David Desser 5. Finding a Language for Vietnam in the Action-Adventure Genre - Ellen Draper 6. Narrative Patterns and Mythic Trajectories in Mid-1980s Vietnam Movies - Tony Williams 7. Rambo's Vietnam and Kennedy's New Frontier - John Hellmann 8. Gardens of Stone, Platoon, and Hamburger Hill: Ritual and Remembrance - Judy Lee Kinney 9. Primetime Television's Tour of Duty - Daniel Miller 10. Women Next Door to War: China Beach - Carolyn Reed Vartanian 11. Male Bonding, Hollywood Orientalism, and the Repression of the Feminine in Kubrick's Full Metal Jacket - Susan White 12. Vietnam, Chaos, and the Dark Art of Improvisation - Owen W. Gilman, Jr. 13. Witness to War: Oliver Stone, Ron Kovic, and Born on the Fourth of July - Thomas Doherty 14. Teaching Vietnam: The Politics of Documentary - Thomas J. Slater Selected Bibliography Selected Filmography and Videography The Contributors Index About the Author(s) Michael Anderegg is Professor of English at the University of North Dakota, and author of two other books: William Wyler and David Lean. 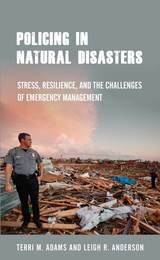 Contributors: Cynthia J. Fuchs, John Hellman, David Desser, Ellen Draper, Tony Williams, Judy Lee Kinney, Daniel Miller, Carolyn Reed Vartanian, Susan White, Owen W. Gilman, Jr., Thomas Doherty, Thomas J. Slater, and the editor. Breaking down the walls of the traditional newsroom, Rebuilding the News traces the evolution of news reporting as it moves from print to online. As the business models of newspapers have collapsed, author C. W. Anderson chronicles how bloggers, citizen journalists, and social networks are implicated in the massive changes confronting journalism. Through a combination of local newsroom fieldwork, social-network analysis, and online archival research, Rebuilding the News places the current shifts in news production in socio-historical context. Focusing on the Philadelphia Inquirer, the Philadelphia Daily News, Anderson presents a gripping case study of how these papers have struggled to adapt to emerging economic, social, and technological realities. As he explores the organizational, networked culture of journalism, Anderson lays bare questions about the future of news-oriented media and its evolving relationship with “the public” in the digital age. Offering new approaches to thinking about sports and political ideologies, Sport and Neoliberalism explores the structures, formations, and mechanics of neoliberalism. The editors and contributors to this original and timely volume examine the intersection of sport as a national pastime and also an engine for urban policy—e.g., stadium building—as well as a powerful force for influencing our understanding of the relationship between culture, politics, and identity. Sport and Neoliberalism examines the ways the neoliberal project creates priorities for civic society and how, in effect, it turns many aspects of sport into a vehicle of public governance. From the relationship between sport and the neo-liberal state, through the environmental dimensions of neo-liberal sport, to the political biopolitics of obesity, the essays in this volume explore the ways in which the “logics” of neoliberalism are manifest as powerful public pedagogies through the realm of popular culture. 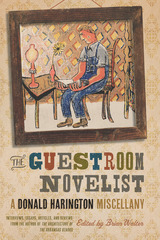 Originally published in hardcover to much acclaim, this vividly written biographical drama will now be available in a paperback edition and includes a new epilogue by the author. Conceived within a clandestine relationship between a black man and a married white woman, Johnny Spain was born (as Larry Michael Armstrong) in Mississippi during the mid-1950s. Spain's life story speaks to the destructive power of racial bias. Even if his mother's husband were willing to accept the boy -- which he was not -- a mixed-race child inevitably would come to harm in that place and time. At six years old, already the target of name-calling children and threatening adults, he could not attend school with his older brother. Only decades later would he be told why the Armstrongs sent him to live with a black family in Los Angeles. 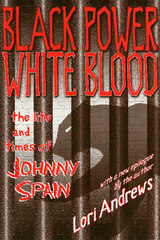 As Johnny came of age, he thought of himself as having been rejected by his white family as well as by his black peers. His erratic, destructive behavior put him on a collision course with the penal system; he was only seventeen when convicted of murder and sent to Soledad. Drawn into the black power movement and the Black Panther Party by fellow inmate, the charismatic George Jackson, Spain became a dynamic force for uniting prisoners once divided by racial hatred. He committed himself to the cause of prisoners' rights, impressing inmates, prison officials, and politicians with his intelligence and passion. Nevertheless, among the San Quentin Six, only he was convicted of conspiracy after Jackson's failed escape attempt. Lori Andrews, a professor of law, vividly portrays the dehumanizing conditions in the prisons, the pervasive abuses in the criminal justice system, and the case for overturning Spain's conspiracy conviction. Spain's personal transformation is the heart of the book, but Andrews frames it within an indictment of intolerance and injustice that gives this individual's story broad significance. Reading India Now studies the implications of this developing trend as both the right-wing resurges and marginalized voices find expression. 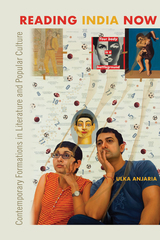 Anjaria explores the fiction of Chetan Bhagat and Anuja Chauhan as well as Aamir Khan’s television talk show, Satyamev Jayate, plus the work of documentarian Paromita Vohra, to argue how different kinds of texts are involved in imagining new political futures for an India in transition. Contemporary literature and popular culture in India might seem artless and capitalistic, but it is precisely its openness to the world outside that allows these new works to offer significant insight into the experiences and sensibilities of contemporary India. Looking at the narrative accounts of mob violence produced by vigilantes and their advocates as “official” histories, Lisa Arellano shows how these nonfiction narratives conformed to a common formula whose purpose was to legitimate frontier justice and lynching. In Vigilantes and Lynch Mobs, Arellano closely examines such narratives as well as the work of Western historian and archivist Hubert Howe Bancroft, who was sympathetic to them, and that of Ida B. Wells, who wrote in fierce opposition to lynching. Tracing the creation, maintenance, and circulation of dominant, alternative, and oppositional vigilante stories from the nineteenth-century frontier through the Jim Crow South, she casts new light on the role of narrative in creating a knowable past. Demonstrating how these histories ennobled the actions of mobs and rendered their leaders and members as heroes, Arellano presents a persuasive account of lynching’s power to create the conditions favorable to its own existence. In Race and Class Matters at an Elite College, Elizabeth Aries provides a rare glimpse into the challenges faced by black and white college students from widely different class backgrounds as they come to live together as freshmen. Based on an intensive study Aries conducted with 58 students at Amherst College during the 2005-2006 academic year, this book offers a uniquely personal look at the day-to-day thoughts and feelings of students as they experience racial and economic diversity firsthand, some for the first time. In Speaking of Race and Class, the follow-up volume to her groundbreaking Race and Class Matters at an Elite College, Elizabeth Aries completes her four-year study of diversity at a prestigious liberal arts college. Here, the 58 students—affluent, lower-income, black, and white—that Aries has interviewed since they were Amherst freshmen provide a complete picture of what and how each group learned about issues of race and class. Psychiatrists define cruelty to animals as a psychological problem or personality disorder. Legally, animal cruelty is described by a list of behaviors. In Just a Dog, Arnold Arluke argues that our current constructs of animal cruelty are decontextualized—imposed without regard to the experience of the groups committing the act. Yet those who engage in animal cruelty have their own understandings of their actions and of themselves as actors. In this fascinating book, Arluke probes those understandings and reveals the surprising complexities of our relationships with animals. Just a Dog draws from interviews with more than 250 people, including humane agents who enforce cruelty laws, college students who tell stories of childhood abuse of animals, hoarders who chronically neglect the welfare of many animals, shelter workers who cope with the ethics of euthanizing animals, and public relations experts who use incidents of animal cruelty for fundraising purposes. Through these case studies, Arluke shows how the meaning of "cruelty" reflects and helps to create identities and ideologies. 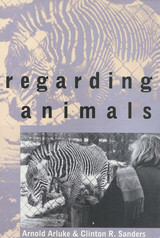 In the series Animals, Culture, and Society, edited by Arnold Arluke and Clinton R. Sanders. Americans have always believed that economic growth leads to job growth. In this groundbreaking analysis, Stanley Aronowitz argues that this is no longer true. 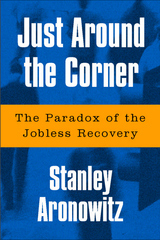 Just Around the Corner examines the state of the American economy as planned by Democrats and Republicans over the last thirty years. 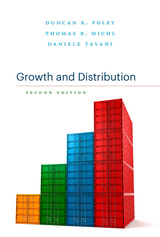 Aronowitz finds that economic growth has become "delinked" from job creation, and that unemployment and underemployment are a permanent condition of our economy. He traces the historical roots of this state of affairs and sees under the surface of booms and busts a continuum of economic austerity that creates financial windfalls for the rich at the expense of most Americans. Aronowitz also explores the cultural and political processes by which we have come to describe and accept economics in the United States. He concludes by presenting a concrete plan of action that would guarantee employment and living wages for all Americans. With both measured analysis and persuasive reasoning, Just Around the Corner provides an indispensable guide to our current economic predicament and a bold challenge to economists and policymakers. 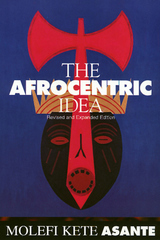 This new edition of The Afrocentric Idea boldly confronts the contemporary challenges that have been launched against Molefi Kete Asante's philosophical, social, and cultural theory. By rendering a critique of some post-modern positions as well as the old structured Eurocentric orientations discussed in the first edition, this new edition contains lively engagements with views expressed by Mary Lefkowitz, Paul Gilroy, and Cornel West. Expanding on his core ideas, Asante has cast The Afrocentric Idea in the tradition of provocative critiques of the established social order. 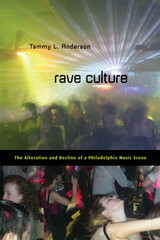 This is a fresh and dynamic location of culture within the context of social change. German film-goers flocked to see musicals and melodramas during the Nazi era. Although the Nazis seemed to require that every aspect of ordinary life advance the fascist project, even the most popular films depicted characters and desires that deviated from the politically correct ideal. 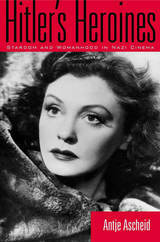 Probing into the contradictory images of womanhood that surfaced in these films, Antje Ascheid shows how Nazi heroines negotiated the gender conflicts that confronted contemporary women.The careers of Kristina Soderbaum, Lilian Harvey, and Zarah Leander speak to the Nazis' need to address and contain the "woman question," to redirect female subjectivity and desires to self sacrifice for the common good (i.e., national socialism). Hollywood's new women and glamorous dames were out; the German wife and mother were in. The roles and star personas assigned to these actresses, though intended to entertain the public in a politically conformist way, point to the difficulty of yoking popular culture to ideology. The problems of capitalism have been studied from Karl Marx to Thomas Piketty. The latter has recently confirmed that the system of capital is deeply bound up in ever-growing inequality without challenging the continuance of that system. Against Capital in the Twenty-First Century presents a diversity of analyses and visions opposed to the idea that capital should have yet another century to govern human and non-human resources in the interest of profit and accumulation. The editors and contributors to this timely volume present alternatives to the whole liberal litany of administered economies, tax policy recommendations, and half-measures. They undermine and reject the logic of capital, and the foregone conclusion that the twenty-first century should be given over to capital just as the previous two centuries were. 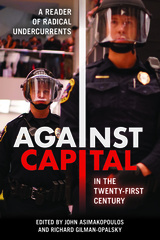 Providing a deep critique of capitalism, based on assessment from a wide range of cultural, social, political, and ecological thinking, Against Capital in the Twenty-First Century insists that transformative, revolutionary, and abolitionist responses to capital are even more necessary in the twenty-first century than they ever were. Michael Awkward’s Philadelphia Freedoms captures the energetic contestations over the meanings of racial politics and black identity during the post-King era in the City of Brotherly Love. Looking closely at four cultural moments, he shows how racial trauma and his native city’s history have been entwined. He introduces each of these moments with poignant personal memories of the decade in focus and explores representation of African American freedom and oppression from the 1960s to the 1990s. 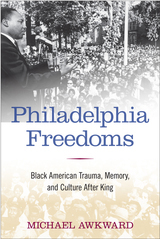 Philadelphia Freedoms explores NBA players’ psychic pain during a playoff game the day after Martin Luther King, Jr.'s assassination; themes of fatherhood and black masculinity in the soul music produced by Philadelphia International Records; class conflict in Andrea Lee’s novel Sarah Phillips; and the theme of racial healing in Oprah Winfrey’s 1997 film, Beloved. Awkward closes his examination of racial trauma and black identity with a discussion of candidate Barack Obama’s speech on race at Philadelphia’s Constitution Center, pointing to the conflict between the nation’s ideals and the racial animus that persists even into the second term of America’s first black president. 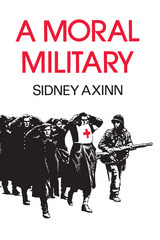 In this new edition of the classic book on the moral conduct of war, Sidney Axinn provides a full-length treatment of the military conventions from a philosophical point of view. Axinn considers these basic ethical questions within the context of the laws of warfare: Should a good soldier ever disobey a direct military order? Are there restrictions on how we fight a war? What is meant by “military honor,” and does it really affect the contemporary soldier? Is human dignity possible under battlefield conditions? Axinn answers “yes” to these questions. His objective in A Moral Military is to establish a basic framework for moral military action and to assist in analyzing military professional ethics. He argues for the seriousness of the concept of military honor but limits honorable military activity by a strict interpretation of the notion of war crime. With revisions and expansions throughout, including a new chapter on torture, A Moral Military is an essential guide on the nature of war during a time when the limits of acceptable behavior are being stretched in new directions. 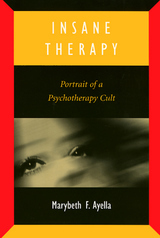 Sensational media coverage of groups like Heaven's Gate, the People's Temple, and Synanon is tinged with the suggestion that only crazy, lonely, or gullible people join cults. Cults attract people on the fringe of society, people already on the edge. Contrary to this public perception, Marybeth Ayella reveals how anyone seeking personal change in an intense community setting is susceptible to the lure of group influence. The book begins with the candid story of how one keen skeptic was recruited by Moonies in the 1970s -- the author herself.